The little mans current obsessions are cars, diggers and emergency vehicles so it seemed appropriate to upgrade his room to something he enjoys spending time in. I didn’t want to change the colour of the walls just yet, it’s not very long since we painted them green and blue, so instead decided to update the accessories. 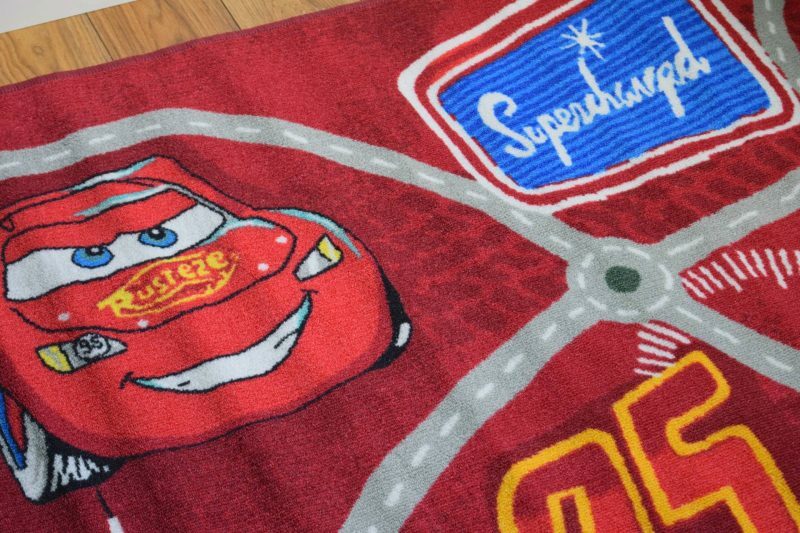 Flair Rugs have a great range of rugs for the whole home and have a lovely kids collection, including a Disney range . 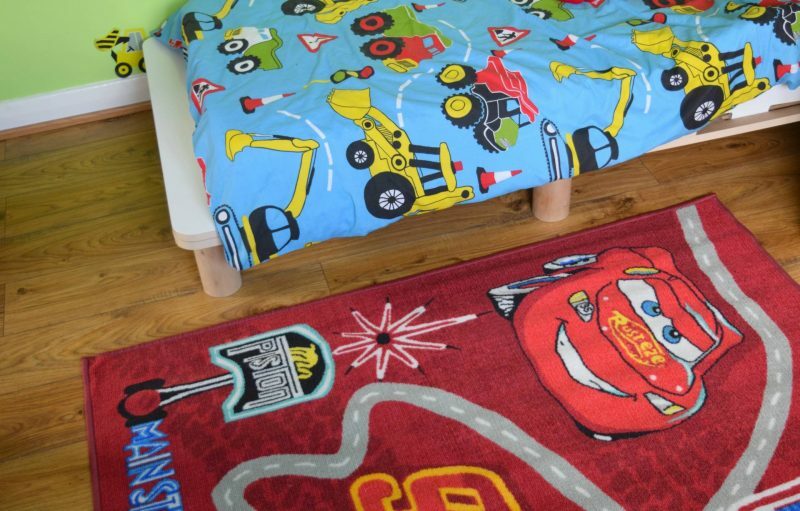 We were kindly given the opportunity to include a fabulous Disney Cars rug from Flair Rugs to include in his room. It’s an absolutely huge rug and at 133cm X 190cm, it pretty much fills the floor of his bedroom. Delivery was extremely quick and efficient and it arrived a matter of days after it was order. It’s made using 100% nylon fibre and has a none slip back which is perfect for a toddler that insists on running everywhere. The colours are bright and eye catching with lots of different graphics dotted over the entire rug. The little man particularly loves the roads and likes running his toy cars and up and down them. The rug is very durable and is even stain resistant. This claim has been tested out numerous times in our house and is completely true! If you have any spillages – simply blotted it and give it a quick rub and it looks as good as new. You can wash the rug if you need too and then simply hang it on the line and let it dry. 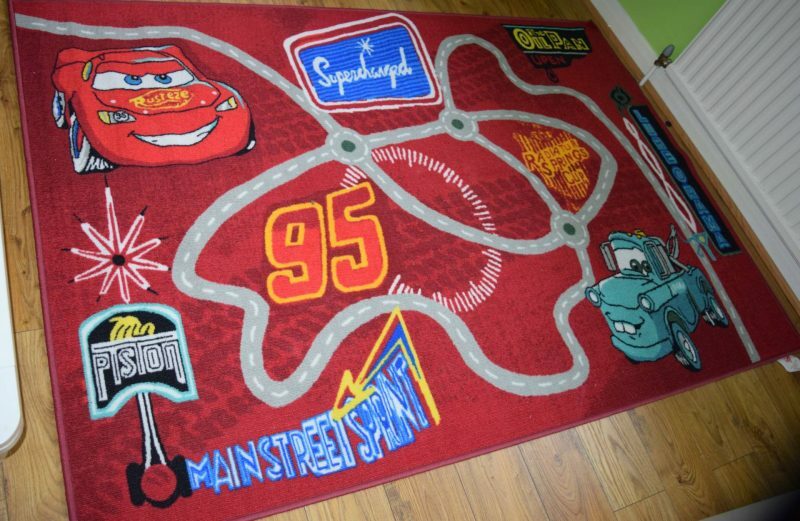 The rug is a very practical addition to my toddlers bedroom. It has made his wood floor much cosier and added some much needed colour, he loves pointing out the different characters and using the roads for his cars. The rug costs £49 which I don’t think is too bad considering it’s size and the fact it’s so durable for little people. It’s worth paying a little more for something you know will last. 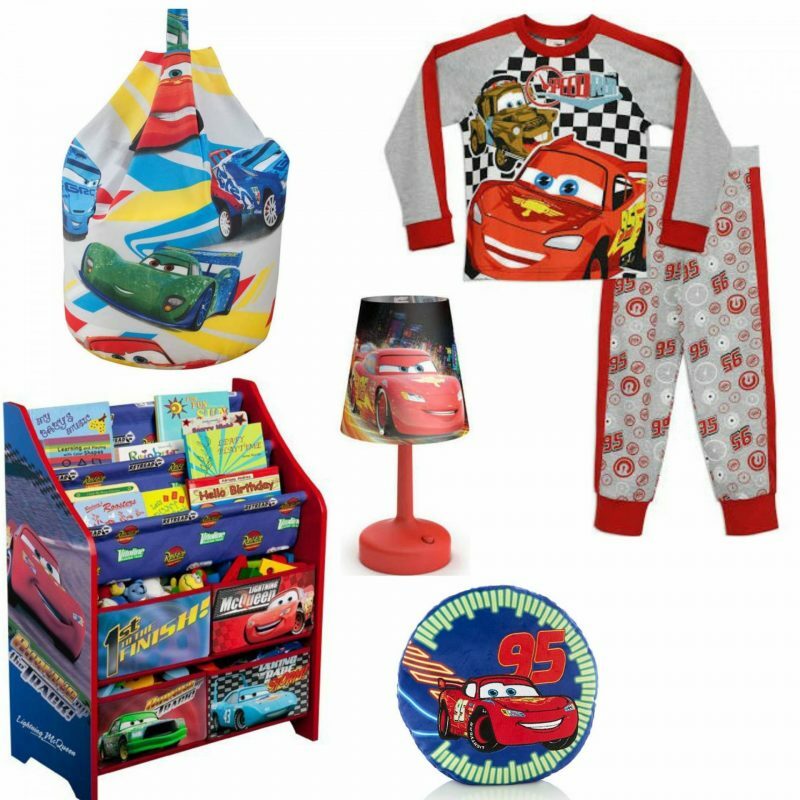 I’ve found some other great accessories to add to the little mans room – all I need to find now is a clock! *I was sent the rug for review purposes. Opinions are my own.